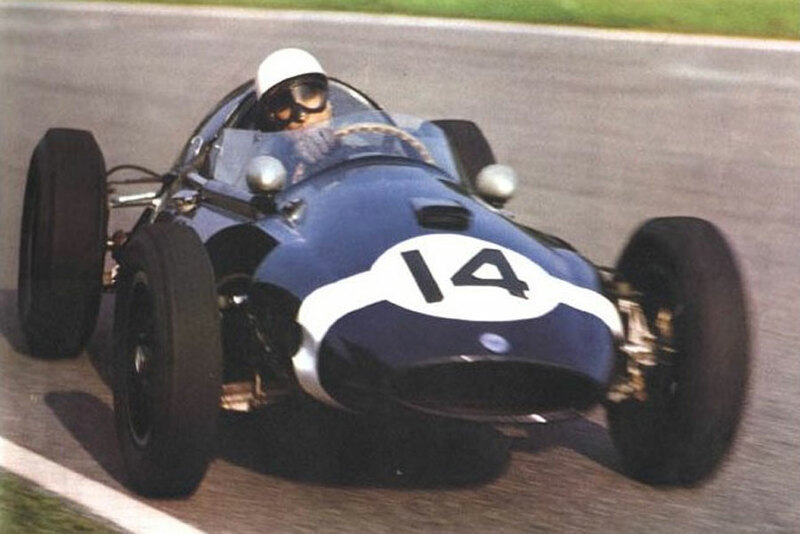 Stirling Moss in a Cooper won the Italian Grand Prix, his second successive win, to make the drivers' championship a three-horse race going into the final round. Three weeks earlier it had seemed to be a straight battle between Jack Brabham and Tony Brooks, but Moss finally overcame a string of mechanical failures to stake his claim. The race was won by strategy and cunning on the part of Moss and Rob Walker's tight knit team. They gambled that the Ferraris would have to stop for tyres during the race but reckoned the lightweight Cooper could go the distance. Nevertheless, they switched to knock-off centre-fixing wheels both as an insurance policy and to lull Ferrari into thinking they would stop. 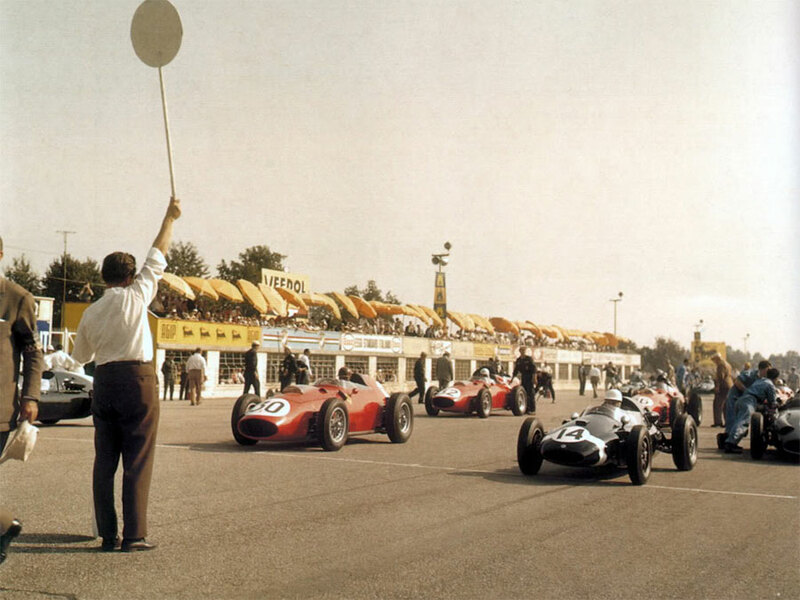 Moss set a lap record to qualify on pole but was beaten off the line by Ferrari's American drivers Phil Hill and Dan Gurney, but Brooks' day ended after a lap when he retired with a defective clutch. All attention was on the pits and on the 31st laps the first Ferrari - Phil Hill's - came in for new tyres followed on successive laps by his team-mates. That allowed Moss to build a lead of more than a minute, and although the chasing pack slowly chipped away at the gap. "One by one the laps were reeled off and the Ferrari team looked desperately at the Walker and Cooper pits to see if any preparations were being made to call in their men to change wheels," noted the Times. "Cooper obliged by putting out some wheels but Brabham carried on while the Walker team made no sign." Moss' tyres held and he eased home by 46.7 seconds from Hill with Brabham picking up four crucial points by taking third. The consensus was that Ferrari had erred by stopping for new tyres; no other team had done so, and the question on everyone's lips was why Ferrari had not left a car out on the track with old tyres to maintain the pressure on Moss. Brabham headed away from Monza with a 5.5-point lead over Moss and Brooks a further 2.5 points behind. It would all come down to the US Grand Prix - and that was another three months away.